Discharge Time : 13 sec. 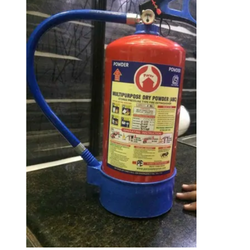 Foam fire extinguisher covers a burning flammable liquid with a blanket of foam, cutting the fire’s air supply and prevents the release of flammable vapors. 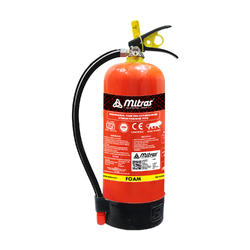 Foam fire extinguisher suits for A and B classes of fire such as Naptha, paints, solvents, Tar and camphor. It stops the supply of oxygen in the fire and cools down the container. The Foam which is used in Foam Fire Extinguishers is called "AFFF" (Aqueous Film Forming Foam), it is also called as "Mechanical Foam". Fire involving flammable liquids, petroleum products or where the blanking effect is essential.